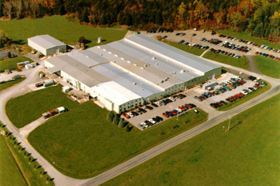 Maag’s location in Eagle Rock, Virginia. Maag Americas offers customers in the polymer industry local sales and service support through a consolidated network, and a broadened product portfolio including industrial pumps, screen changers, dryers and water systems. With sites in Roanoke and Eagle Rock, Virginia and in Kent, Ohio, USA, Maag Americas also has sales and engineering offices in North Carolina, Ohio and Virginia, USA and in Sao Paulo, Brazil. The newly aligned Maag Americas division has recently completed a critical integration phase, which followed parent company Dover Corp’s best practice processes, designed to align key core competencies, leverage best-in-class operations and form new internal and external relationships. The contract with China’s Hainan Huasheng New Material Technology Co Ltd includes pumps, pelletizing systems and screen changers.